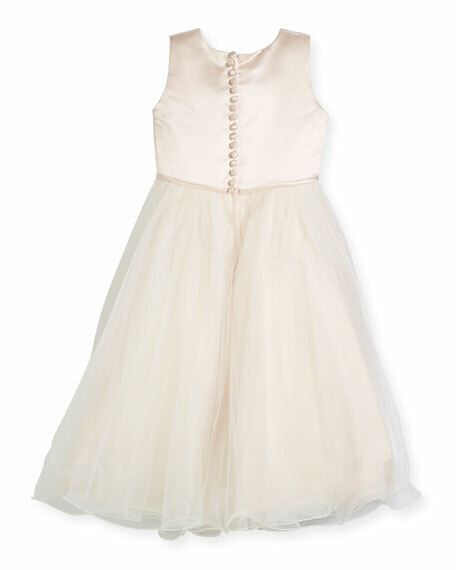 Joan Calabrese combo dress in satin and tulle. Designer Joan Calabrese began designing her luxurious children's clothes when she was the mother of two toddlers. 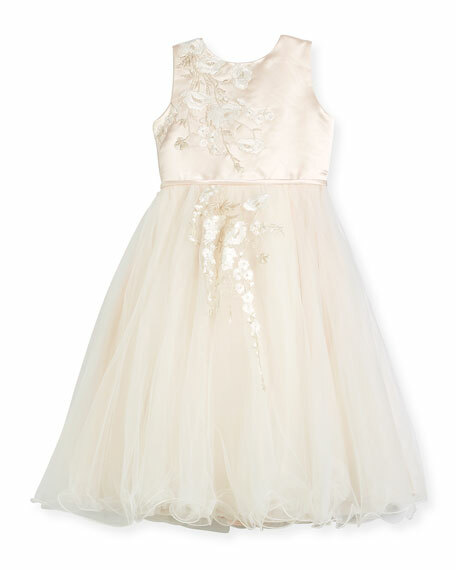 The Joan Calabrese collection of exquisite dresses is favored for flower girls, First Communions, formal parties, and other special occasions. Joan Calabrese designs are in the permanent collections of the New York Metropolitan Museum of Art's Costume Institute and the Philadelphia Museum of Art. For in-store inquiries, use sku #2411111.